Such a sophisticated , elegant and ladylike outfit! 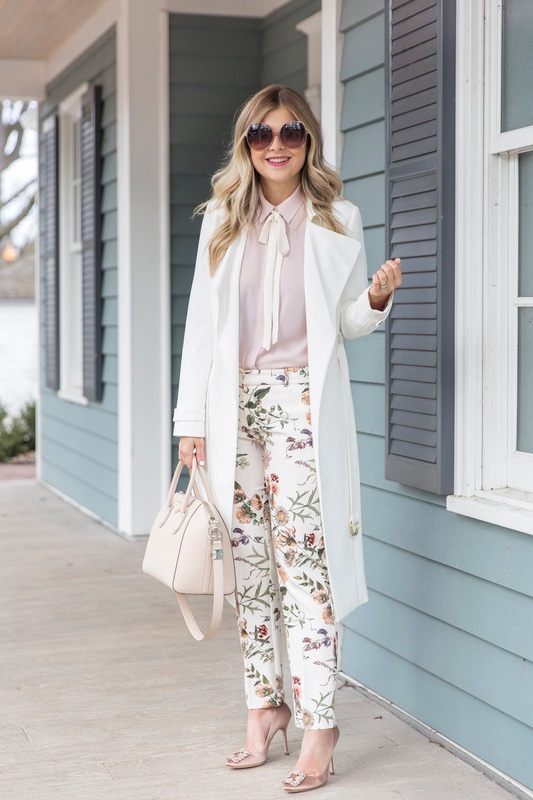 I'm loving your pants, they have a great floral print and perfect cut! I am so loving how fun pants are a thing right now! This is such a pretty outfit! I love the print on them and used to have floral trousers I wore all the time and I should get a new pair.